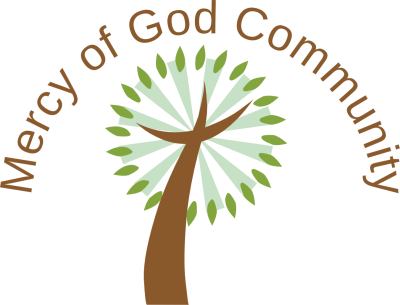 The community was founded in 1988 as the Ecumenical Brothers of the Mercy of God (BMG). Br. Gerald William, our founder, did preliminary outreach and recruited a few prospective members who gathered at Christ Church Cathedral, Hartford, Connecticut. The initial ceremony of first vows by two brothers and reception of two novices took place in October, 1989, at the St. Pius X Capuchin Friary, Middletown Connecticut. The entity was incorporated in Rhode Island as a non-profit organization on the Feast of the Transfiguration, August 6, 1992. At Chapter I, the group adopted a democratic model of self-governance, decided to include women, changed its name to Mercy of God Community (MGC), and adopted a formal Rule and Bylaws. The first election of a Leadership Council was held at Chapter II, in October, 1993. In 1994, the U. S. Internal Revenue Service recognized MGC as a religious order and granted tax-exempt status. The community has endured with national spring meetings/retreats and fall conferences/chapters having been held every year. At the re-founding in 1992, there were nine brothers. As of December 31, 2017, there are 8 professed members and 80 individual associates residing in 28 states and Australia. At our Spring Retreat, we all agreed on a new "logo design," which is reflected on this website.